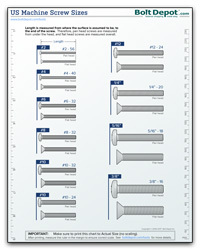 These to-scale 'lay-over' charts let you quickly identify dimensions by simply matching up your fastener with the printout. 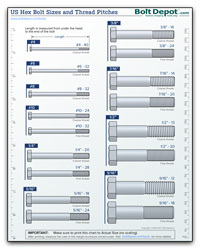 The printable fastener tools series also includes general charts and tools for identifying and measuring fasteners, including a ruler and thread gauge. 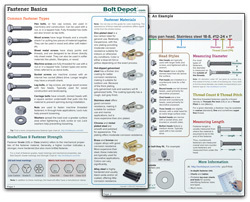 Note: If you can't open these PDF files directly in your browser, you can use a PDF viewer, such as Adobe Reader (free). 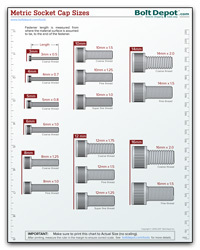 Important: Ensure that "Actual size" (no page scaling) is selected when printing. 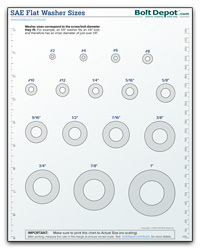 Measure the ruler on the printout to ensure correct scale. 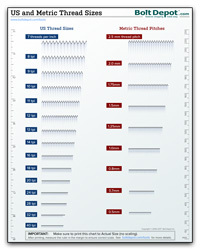 Chrome/Firefox users: Printing to scale doesn't work in all versions of Firefox and Chrome. 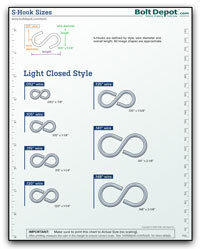 We recommend using a PDF reader such as Adobe Reader. 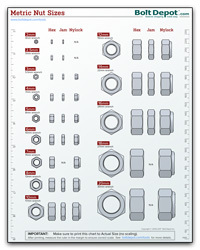 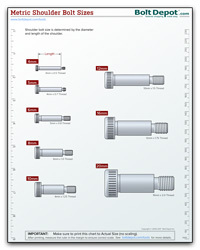 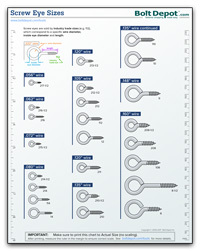 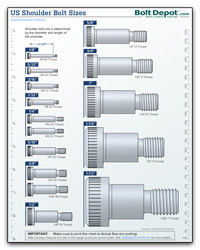 All of our printable tools and charts, including our Fastener Basics and Type Charts, in one 32-page PDF file. 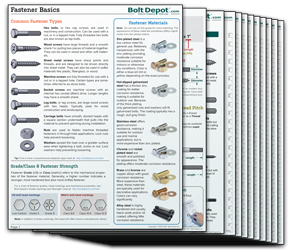 Our 2-page, illustrated guide to basic fastener concepts - designed to quickly give you the knowledge to identify, find and use the correct fastener. 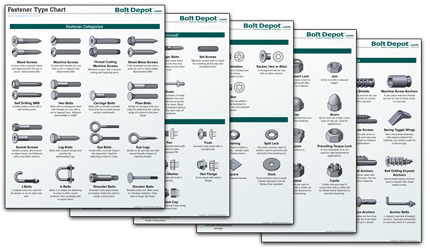 This comprehensive reference guide will help you identify fastener categories, head styles and drive types, as well as common nut and washer types. 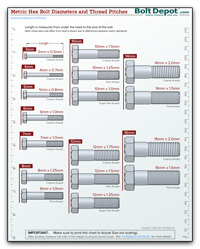 Print a fully functional US and Metric ruler. 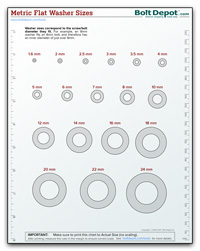 A printable paper version of our popular Thread Gauges. 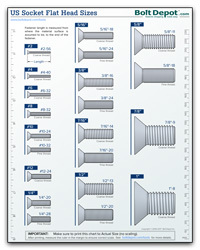 Use this tool to distinguish between coarse and fine thread bolts and machine screws, as well as the many thread pitches used on metric bolts and machine screws. 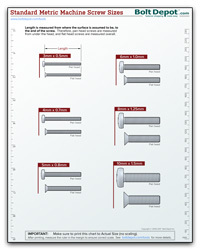 See our catalog for thread gauge hardware. 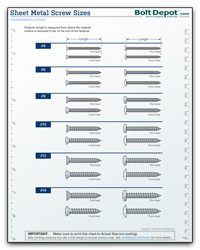 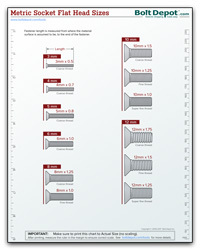 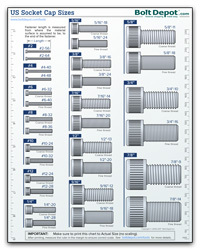 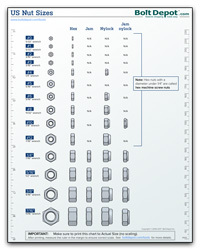 Lay-over charts for quickly identifying diameter, thread count and other US fastener dimensions. 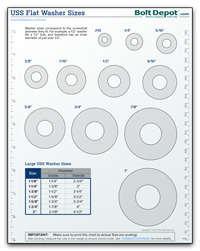 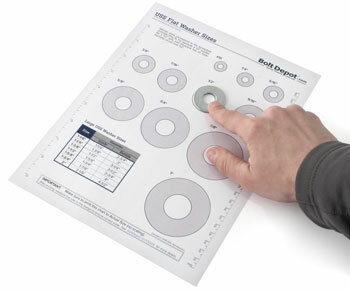 Lay-over charts for quickly identifying diameter, thread pitch and other metric fastener dimensions.